Francesca is an advocate with particular expertise in all matrimonial finance including Inheritance Act provision, International and private law children work. 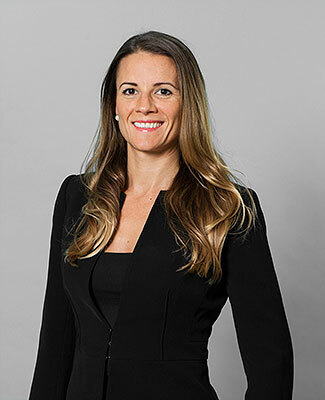 Francesca is regularly instructed in international disputes particularly in complex offshore matters involving trusts and partnerships in the context of high net worth divorce. She has advised on complex international pre-nuptial agreements and the movement of children around the world, particularly to non-Hague Convention countries. In addition to being called to the English Bar, Francesca has also been called to the Cayman Islands Bar. From December 2008 to September 2014 Francesca practised as an Attorney for Samson & McGrath in the Cayman Islands. During this time Francesca appeared before the Cayman Islands Court of Appeal on numerous occasions and was involved in multiple high net worth ‘offshore’ financial remedy cases. In addition, with the Cayman Islands being highly transient in nature, Francesca was often instructed in permanent relocation children cases. Francesca’s reputation is for being firm and robust but fair, getting to the heart of a problem efficiently and with excellent judgment. She is also known for having excellent client management skills.